If you have downloaded our GPS tracks from past flights, say starting August 19 of this year, you'll see that today's flight only covered some of the areas in which we've seen significant oil in past weeks, and these only cursorily. But the primary area in which we have been seeing this fresh oil is this roughly north-to-south band, all of which lies between the Macondo well that exploded last year and points some 10-20 nm east of it. 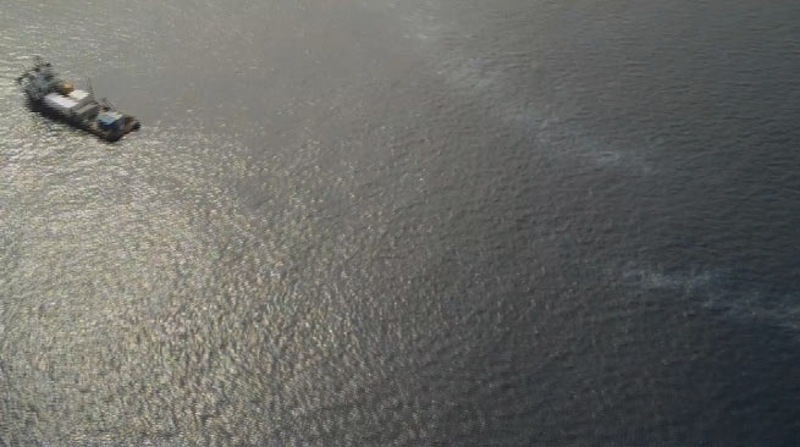 The area where we have found oil most consistently and easily spans a band that is about 25 nm longfrom south to north and about 10 nm wide, starting at a longitude about 8 nm east of the Macondo well. (E.g., note our past waypoints 9149 from Aug 26 at N28° 32.491', W88° 04.404' and 9172 from Aug 30 at N28° 56.750', W88° 11.887'); and it has been found sporadically from this area westward about 45 nm (e.g., note our past waypoint 9163 from Aug 30 at N28° 32.775', W88° 54.888'). 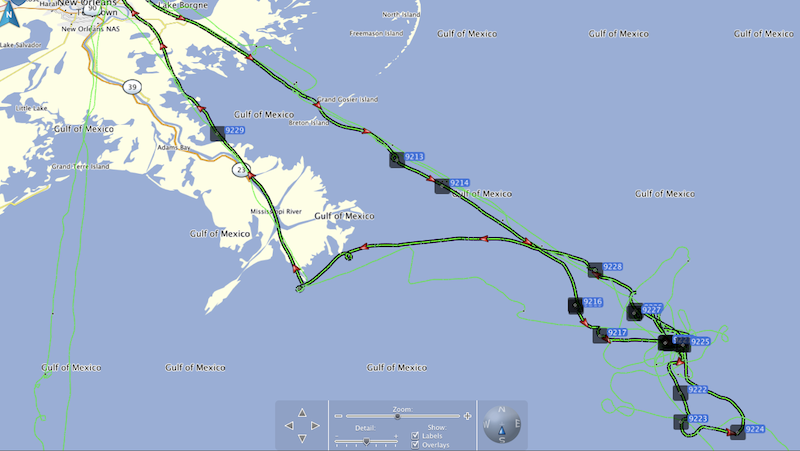 We have, of course, also seen oil "globules" very near the Macondo (e.g., our waypoint 9142 on Aug 25.) And then there's our waypoint 9163 from Aug 30, some 35 nm southwest of the Macondo well! We don't have great photos and video for today -- yet. We gave first right to all of it to our journalist, from whom we expect to see a very interesting and informative article in the coming day or two. 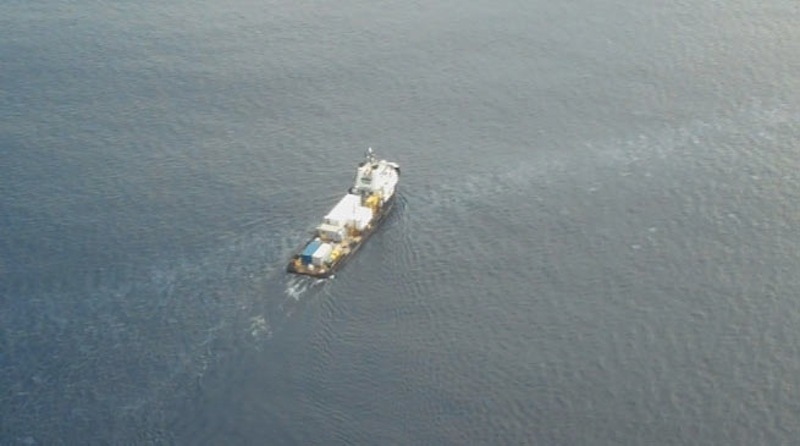 But stand by for plenty of excellent footage of oil and dolphins and vessels in a day or two! For now, here are some short videos and a few stills from a small pocket camera. 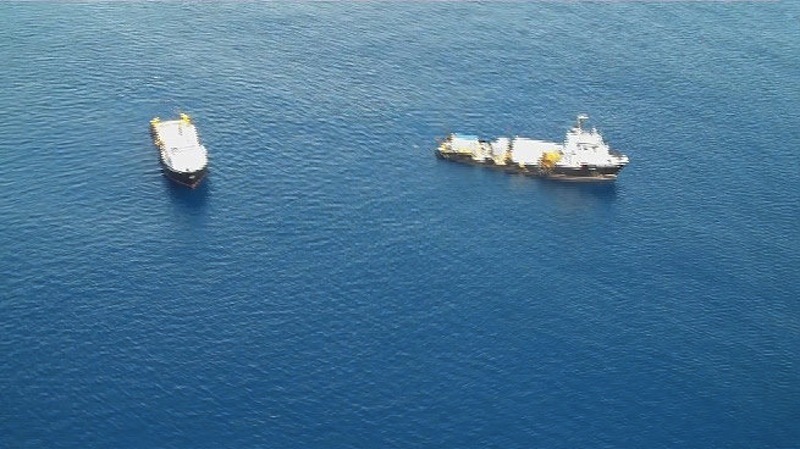 The vessels you see are first the Sarah Bordelon --the BP-contracted boat we spoke with on Aug 30, when we told them about the larger slick north of their position at that time, later joined by her sister ship the Rachel Bordelon. They were both sitting in the area of oil that we found and published a few days ago, which is where we found them sitting today. 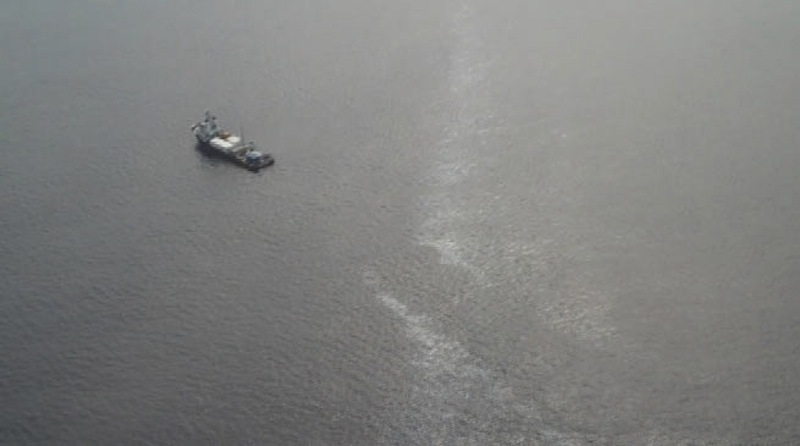 As we were returning to New Orleans, up from just south of this area came the giant Skandi Neptune -- an ROV-enabled vessel that worked the Deepwater Horizon disaster last year. Our Flight Log notes are appended below, and as usual, the full gps flight track file can be downloaded at this website under the main menu item "Flight Tracks." Stay tuned for more great photos, and for the outcome of a meeting with the US Coast Guard that we are having tomorrow -- at their invitation -- to discuss what they called a "possible collaboration." We are optimistic that this will serve good, but we are cautious so that our good efforts and intentions are not used against the good for which we work. Flight from KNEW to the Macondo Prospect, back to East Bay (tip of Birds' Foot Delta, where they are surf-washing and pump dredging the oiled beaches), and back to KNEW. Flight was to show media (Dahr Jamail and his photographer/videographer) the area; unable to carry a photographer for OWOC, but captured some footage on a small Flip videocam. ** Lat/Longs are given in degrees and decimal-minutes. Times are given in UTC (Zulu) time, which is CDT+0500. 9213: N29 20.337, W88 54.321. 1401Z. Line of sargassum, foam. 9214: N29 15.546, W88 46.126. 1406Z. Rig flaring. *9206 - previous waypoint, N29 05.521, W88 29.631. Long foam line. 9215: N28 56.523, W88 25.682. 1421Z. 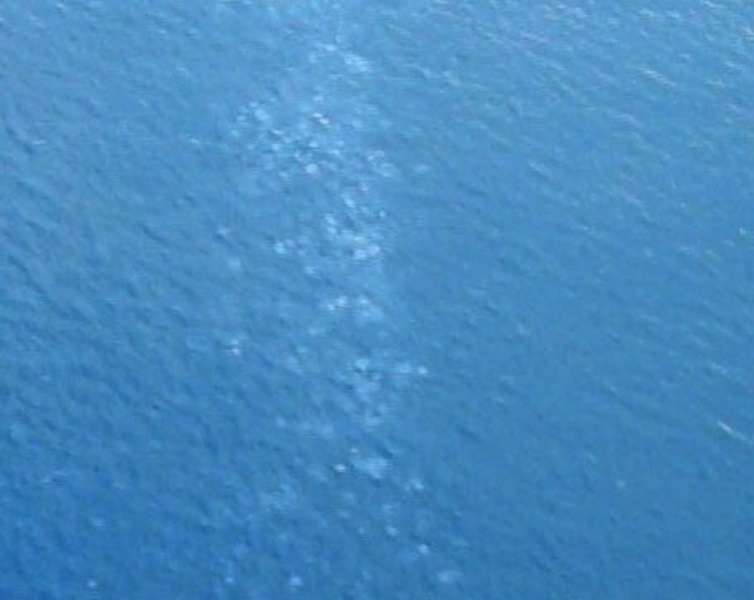 Dolphins, ~50, near oil line, some oil oil in it. 9216: N28 56.786, W88 25.678. 1422Z. Same as 9215, continuous oil line with dolphins. 9217: N28 52.568, W88 22.675. 1430Z. >100 dolphins here, farther from oil. 9218: N28 51.525, W88 12.061. 1438Z. Oil sheen. 9219: N28 51.487, W88 10.346. 1443Z. Oil blobs, sheen lines, and the Sarah Bordelon! 9220: N28 51.32, W88 12.553. 1503Z. 9221: N28 51.628, W88 12.769. 1506Z. 9222: N28 45.434, W88 12.383. 1526Z. 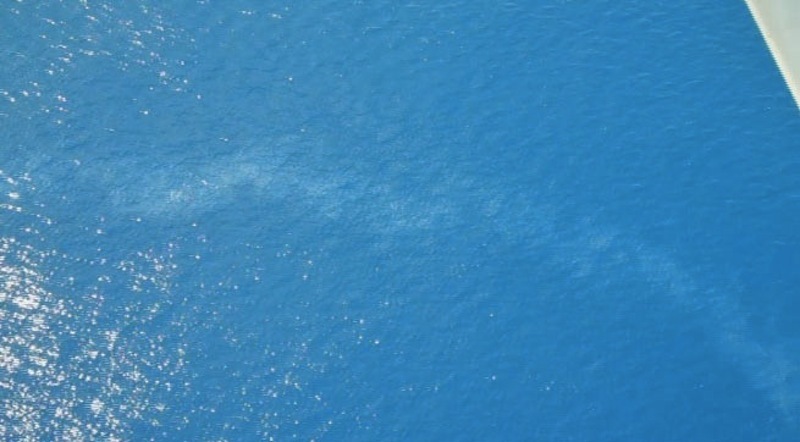 One sperm whale, very large one! 9223: N28 42.068, W88 13.397. 1532Z. Rig flaring approx 6 nm south of this point (did not fly over). 9224: N28 40.889, W88 05.620. 1539Z. 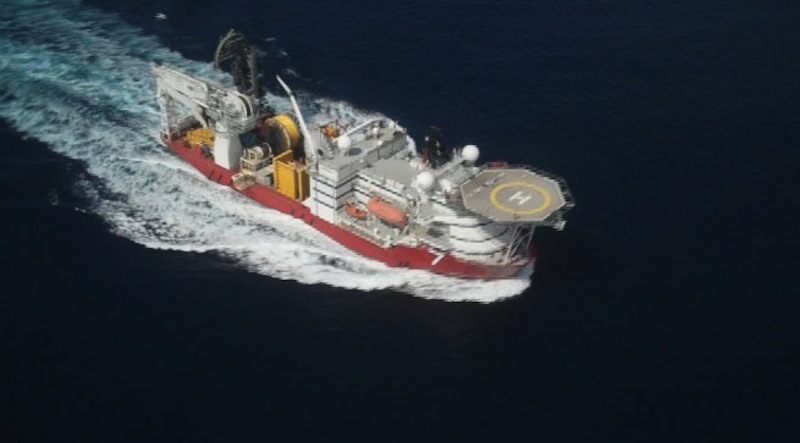 Skandi Neptune -- giant of a boat, looks like cables for ROVs. 9225: N28 51.371, W88 10.097. 1550Z. Rachel Bordelon has now joined the Sarah Bordelon in the oil! Looks like the Skandi Neptune headed this way, but not taking time to wait or follow. 9226: N28 55.967, W88 16.192. 1601Z. 9227; N28 55.623, W88 16.547. 1601Z. Shrimperes and very long S-N-NE foam/sargassum line. Interesting regular groupings of white foam swirl eddies. 9228: N29 01.835, W88 21.373. 1611Z. >120 dolphins in inverted-V formation like a large flock of geese, moving at good speed southward! No frolicking, lined up and really moving! 9229: N29 25.501, W89 28.893. 1701Z. Sheen near platform to our west about 1 nm (260° magnetic from us), extends about 300 m. Rainbow and metallic-looking.